Everyones favourite character is back with these two great T-shirts from Fabric Flavours. The cleaver mouse has managed to fool the Gruffalo into thinking he is the scariest creature in the wood, which is depicted in super soft print. This is accompanied by the text, 'Everyone is afraid of me' which is embroidered on the front of the T-shirt. 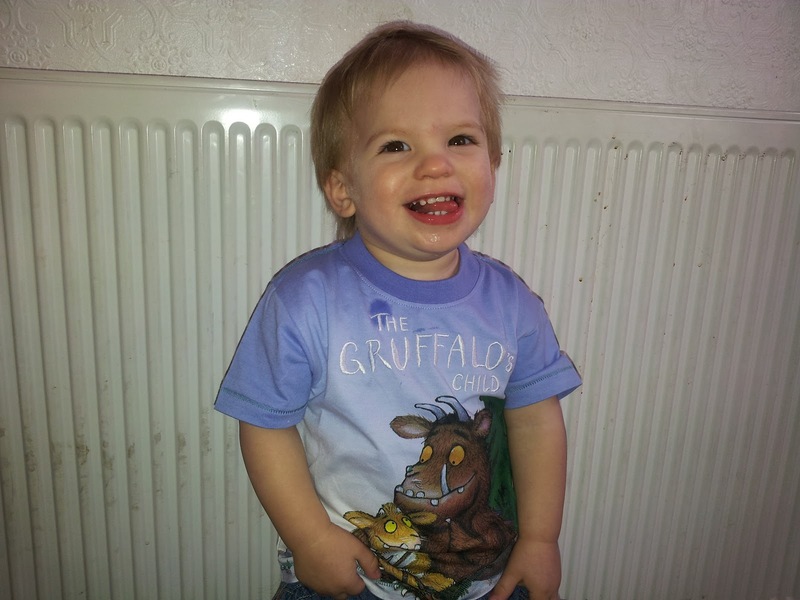 'Gruffalo Crumble' is printed in the back neck. As an extra surprise, 'The Gruffalo' is embroidered on the back of the T-shirt along with a dragonfly from the original book. Come to the deep, dark, wood and see the Gruffalo's Child learning about the Big Bad Mouse from her dad, The Gruffalo. The title of the book is embroidered on the front of this super cool tee from Fabric Flavours and contrasting grin stitch is used on the sleeves and hem. There is a little surprise for you! 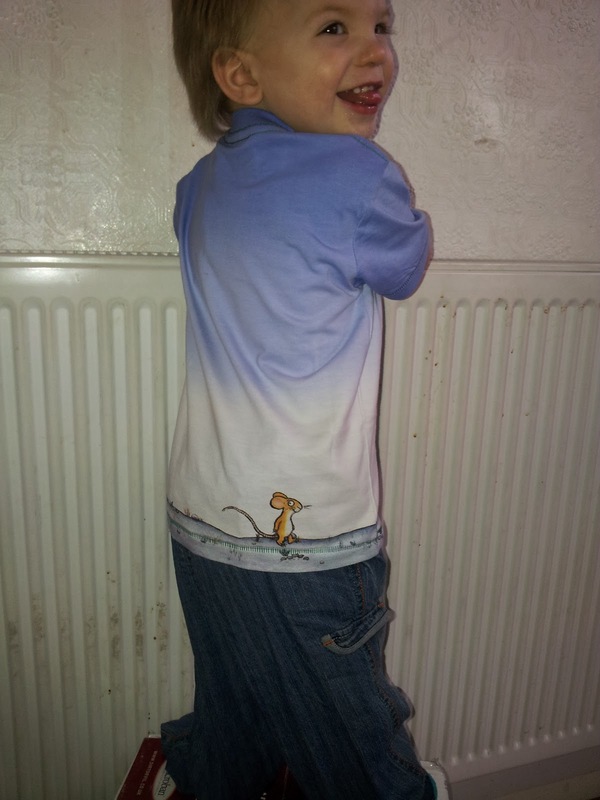 The Big Bag Mouse is hiding at the back of the T-shirt! 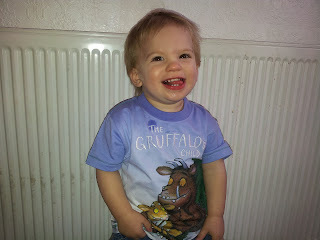 Here at Mummy Of 3 Diaries we are huge Gruffalo fans. 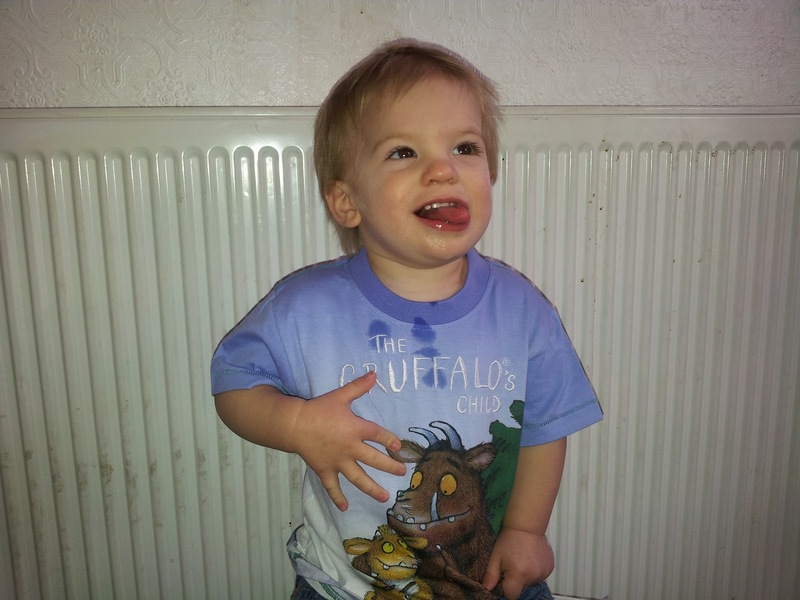 We have all the books, have tickets to the shows and now we have the T shirt as Ryan was sent a Gorgeous Gruffalo's Child T shirt for the purpose of this review. First off I must say, the design is gorgeous and the material quality is very high. The image details are amazing and the pictures are just wonderful. These T shirts are just too cute. I couldn't wait to get Ryan's on him. He seemed quite pleased with it too. Here's my little man in action. He's becoming quite the little poser, bless him. One thing I really love about this T shirt is the back. There on the back is the little mouse, it's just so sweet and a great added little feature. Ryan loves his new T shirt and I really love looking at it. 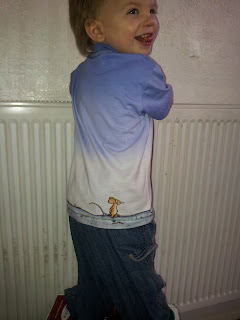 It's so delightful and it's lovely when the kids get to wear their favourite characters on their clothes. It really helps to bring his story books to life. Every time we read the book now he can point to his belly because there they are. 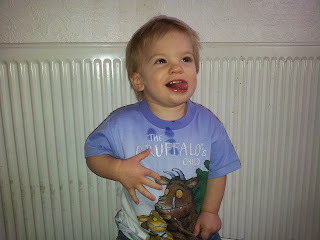 The Gruffalo and the Gruffalo's Child right there on his T shirt.